Colonel John Hughes-Wilson retired in 1994 as a member of NATO's International Political Staff. He also served in the British Army in the Sherwood Foresters Regiment. He is an Associate Fellow of RUSI and a member of the RUSI Journal's Advisory Board, John is also an Archives Bi-Fellow of Churchill College Cambridge and the Royal United Services Institute, Whitehall. He is President of the Guild of Battlefield Guides. 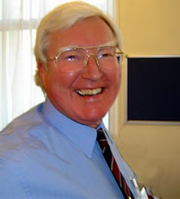 John Hughes-Wilson is currently considered a "single author." If one or more works are by a distinct, homonymous authors, go ahead and split the author. John Hughes-Wilson is composed of 4 names. You can examine and separate out names.